BE MORE COMPETITIVE WITH MB, THE CRUSHING EVOLUTION - MB S.p.A. When a company has to deal with a large amount of construction waste on a project site, the traditional methods of recycling it with it can be ineffective or costly. The best solution remains to reuse the waste on-site but it should be done effectively in order to use the material for its full potential. And here the MB crusher bucket come into play, a revolutionary machine applicable to any excavator capable of transforming it into an effective mill. With a single machine, the MB crusher bucket, in fact, you can save in terms of staff (one excavator operator is sufficient), in the consumption of fuel to power the mobile crusher, and in terms of maintenance as this is very simple and fast. 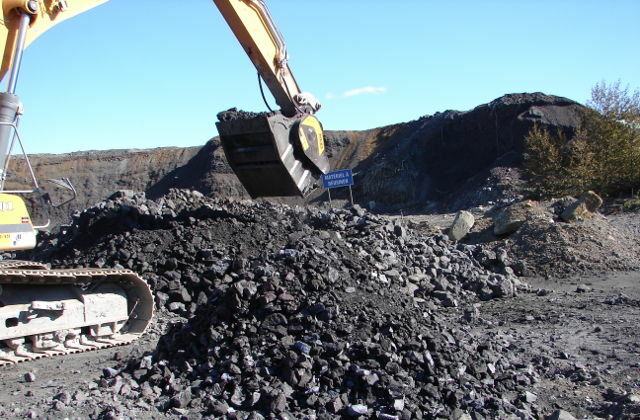 The experience and flexibility of MB crushers bucket are testified in the territories of Canada by the partners that have been working with MB for several years and are very satisfied with it: in fact, crushing with the excavator directly in a quarry or yard allows to get rid quickly and efficiently of the material and re-use it directly on site. 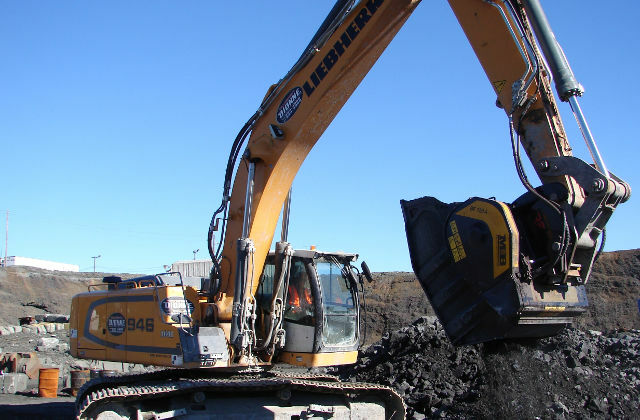 The BF120.4 is working on a Liebherr excavator crushing very hard material. With a productivity of more than 50 m3/h, the BF 120.4 is an effective machine that has established itself as the premier crusher in the crushing field in just a few years.